The episode does a great job of stream lining everything that went down in 2017 with the Gimbal video, Pentagon videos, TTSAAS, Bigelow Airspace housing "alien" alloys, to a mainstream audience that may not have the attention span to read all the stories. Unfortunately, it's just a recap and doesn't provide anything more than just the news of the past year and some commentary. What stands out about this episode is the involvement of Podesta ( Hillary Clinton's 2016 campaign chair), and how he's able to explain Harry Reid's importance. -What's inside Robert Bigelow's warehouse and when can we see it? 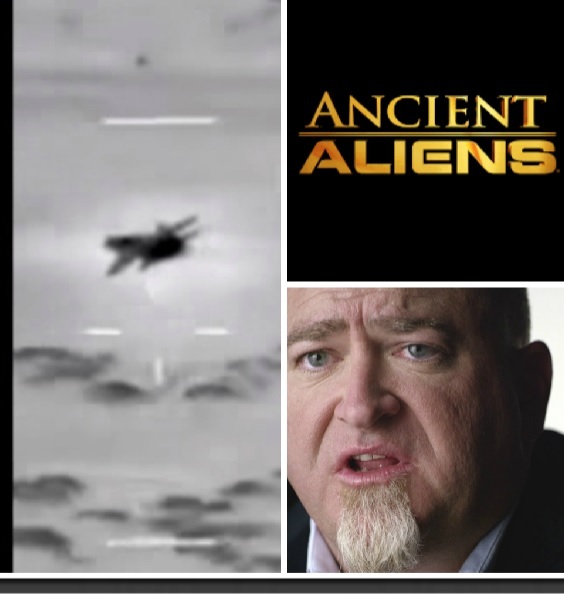 -Previous past "official" government UFO studies, the MJ-12, Project Blue Book, Area 51 and the work of T.D. Barnes, and other past stories. Even for a premiere, a 2-hour episode feels a little excessive; it's almost a documentary film at this point. While the show does have its fair share of detractors, it has been on air for now 13 seasons, which is an impressive longevity for a show of this nature. "The UFO Conspiracy" episode does a solid job of recapping 2017 to the mainstream while also staying true to the show's ancient astronaut theory roots.